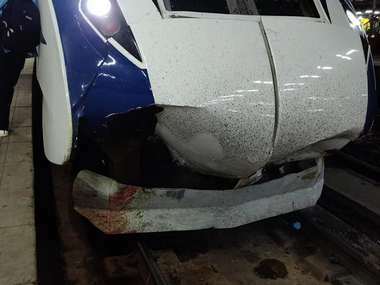 New Delhi: The Railways' fastest train — Train 18, which is scheduled to be flagged off by Prime Minister Narendra Modi on 29 December, was pelted with stones on Thursday during a trial run between Delhi and Agra, a senior official said. 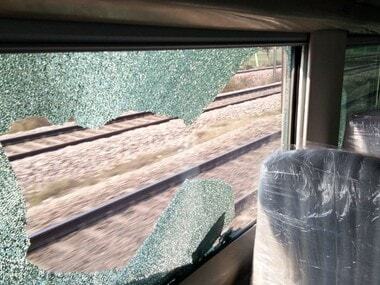 The window of one of the coaches of the Rs 100-crore train was damaged. Hours after the incident, the Railways appealed to the public to desist from damaging railway property that has been essentially made for their convenience. 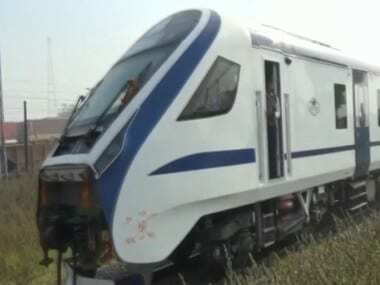 Train 18, the country's first engineless train which has been manufactured by Integral Coach Factory, Chennai, recently became India's fastest train by hitting speeds of over 180 kmph during a trial run on a section of the Delhi-Rajdhani route. It will replace Shatabdi trains and will run between Delhi and Varanasi. ICF spokesperson GVVenkatesan said, "Today, when the speed trials were being conducted for Train 18 between Agra and New Delhi, some miscreants threw stones on the train, that damaged one of the windows of the Train 18 on one side." "Such act of vandalising the public property such as trains, railway stations, are condemnable, in particular, a prestigious brand new train such as Train 18. Public are requested to desist from vandalising railway properties including trains, railway stations and defacing them. After all, it is the public property that belongs to them," the spokesperson said. The incident is being investigated, officials said. 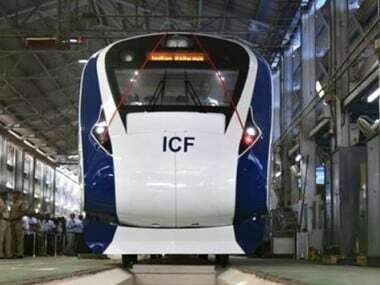 General Manager of the ICF tweeted, "Train 18 running at 180 km/h between Delhi and Agra at this time... Srinivas, the Chief Design Engineer of ICF is in the cab, they touched 181 kmh for record sake... Some vandal threw a stone breaking a glass, hope we nab him (sic)." The gleaming blue-nosed train comes fitted with amenities on par with the best in the world — from on-board WiFi to a GPS-based passenger information system, touch-free bio-vacuum toilets, LED lighting, mobile charging points and a climate control system that adjusts the temperature according to occupancy and weather. According to the tentative plan, the train will start from New Delhi station at 6 am and is expected to reach Varanasi at 2 pm. For the return journey, the train will start at 2.30 pm from Varanasi and reach the national capital at 10.30 pm on the same day. Railway Minister Piyush Goyal, impressed with the success of Train 18 during trials, has recently asked ICF to build four more similar rakes in the current financial year.